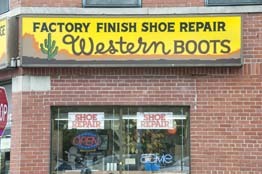 Come on down to Factory Finish Shoe Repair! We are in Dearborn, conveniently located just one block south of Michigan Avenue on the west side of Schaefer. If you need help finding us, just click on the handy driving directions link included on this page.